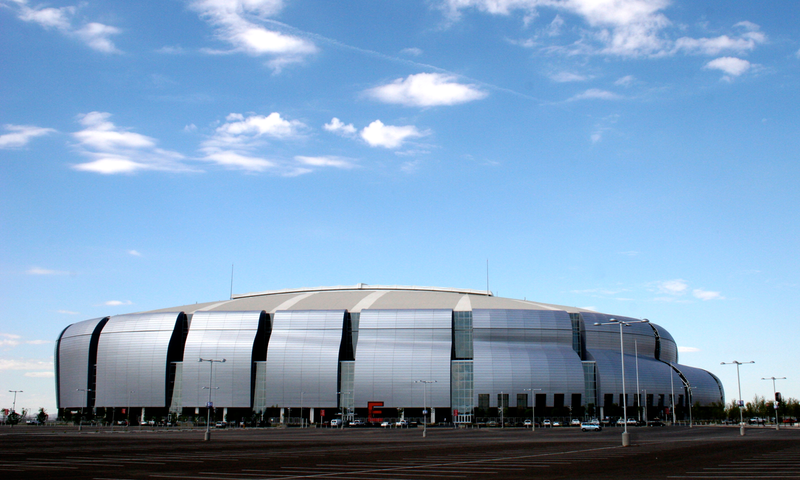 This year’s Super Bowl XLIX takes place at the University of Phoenix Stadium in Arizona, on what will surely be an epic clash between the New England Patriots and the Seattle Seahawks. We’re not betting on any winners here, nor are we taking any side. But being the music nerds we are, we’ve made a flag-waving playlist for each team, celebrating the region they represent. So grab the guacamole, slip on your foam finger, and prepare for a symbolic battle of the bands between Seattle, Washington and Boston, Massachusetts. While encouraging good sportsmanship, we hope these two mixes of regionally-based tunes will fuel the hometown pride of invested fans, and give the less-sporty something to cheer about. We tried to keep the playing field level with around 20 songs each. Winning the coin toss, are the returning Super Bowl champs, the Seattle Seahawks. The Hawks are the only NFL team based in the Pacific Northwest, one of the most musically diverse areas of the U.S. Though typical of the greater region, the Emerald City is especially well known for its great coffee, majestic temperate rain forests, high tech development and, of course, its flannel-flavored rock. In this playlist we had to include a couple of ‘90s gems from Nirvana, Soundgarden and Pearl Jam. Foo Fighters speak to a more seedy part of the city, while Young Fresh Fellows walk the Aurora Bridge on the unbelievably catchy ode to the city, which, while failing to mention the Seahawks, does name-drop the local baseball team. The Seahawks list kicks off in the imaginary town of Twin Peaks, and their drive ends with Perry Comot’s lovely version of “Seattle,” even though he has nothing to do with the town, as far as we know. Other faves hailing from Seattle include Jimi Hendrix, Queensrÿche and Fleet Foxes, as well as some out of town visitors like Mark Lanegan (Ellensburg), The Ventures (Tacoma), Death Cab For Cutie (Bellingham) and Bikini Kill (Olympia). Come game day, all those cities will join in the rowdy choir. Fun fact: After setting a Guinness World Record for noise in 2013, Seahawks fans cheered so loud this season that the commotion registered at a nearby seismic recording station as a tremor with a magnitude between 1.0 and 2.0. On the opposite coast of the country, the ball lands in Boston. The Massachusetts capital has the honor of representing the wonderful region of New England, the first- and longest-inhabited land in the United States (at least by European immigrants). Besides sharing the beloved Boston accent (just drop those R’s and broadenings those A’s), New England has given the world its own proud tradition of music. We continue one a wild ride of some of the best songs from and about the Boston and New England, and believe us, this place is stacked with great songs. We included radio friendly chartbusters from The Cars, Aerosmith and a band that even named itself Boston (of course), back-to-back with alternative giants like Pixies, The Lemonheads and Throwing Muses. That’s the end of our musical pre-game coverage. Katy Perry will take care of the Halftime Show. The result of the match is ultimately up to the teams on Sunday, but if you ask us, it looks like a draw.